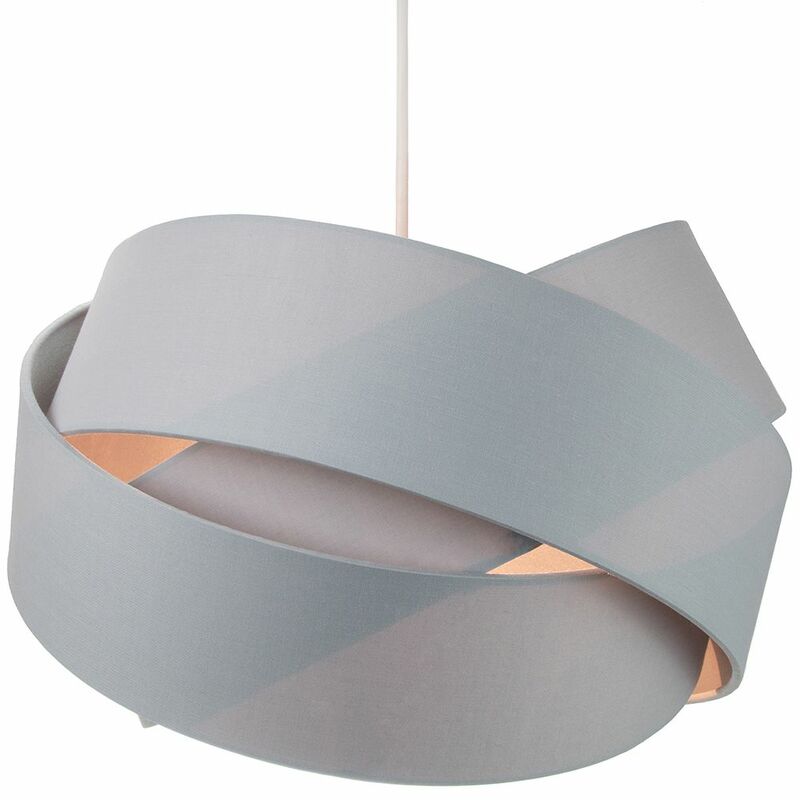 Contemporary and unique non electrical pendant light shade with triple ring design. 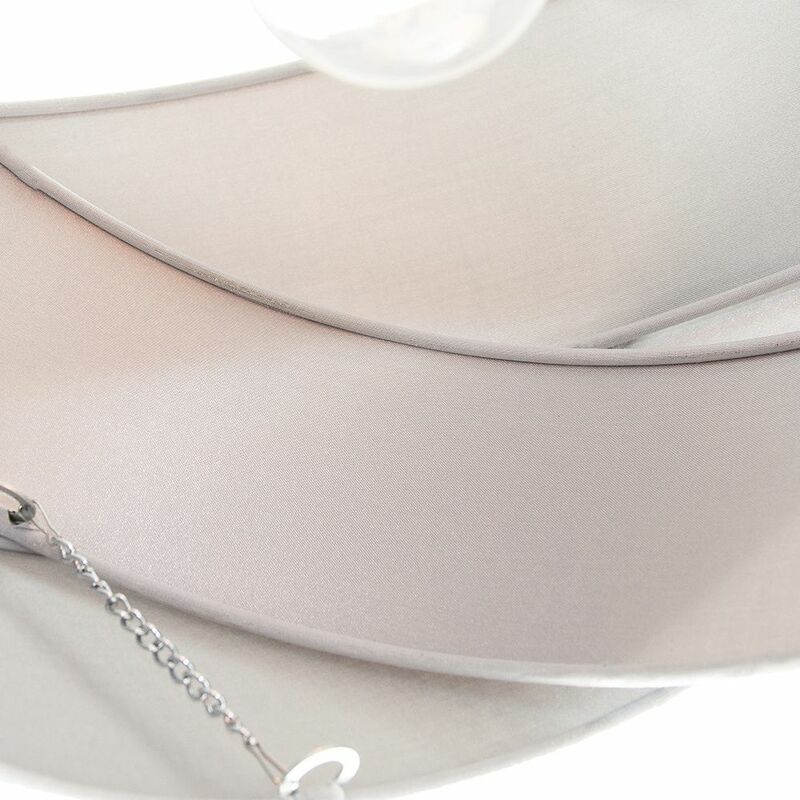 Simply attaches to your existing pendant rose. High quality grey cotton fabric material with luxurious silver satin fabric inside which creates a stunning effect when light reflects against it. The product dimensions are: Height - 20cm, Top diameter - 34cm, Bottom diameter - 34cm. Maximum wattage allowed is 60w. 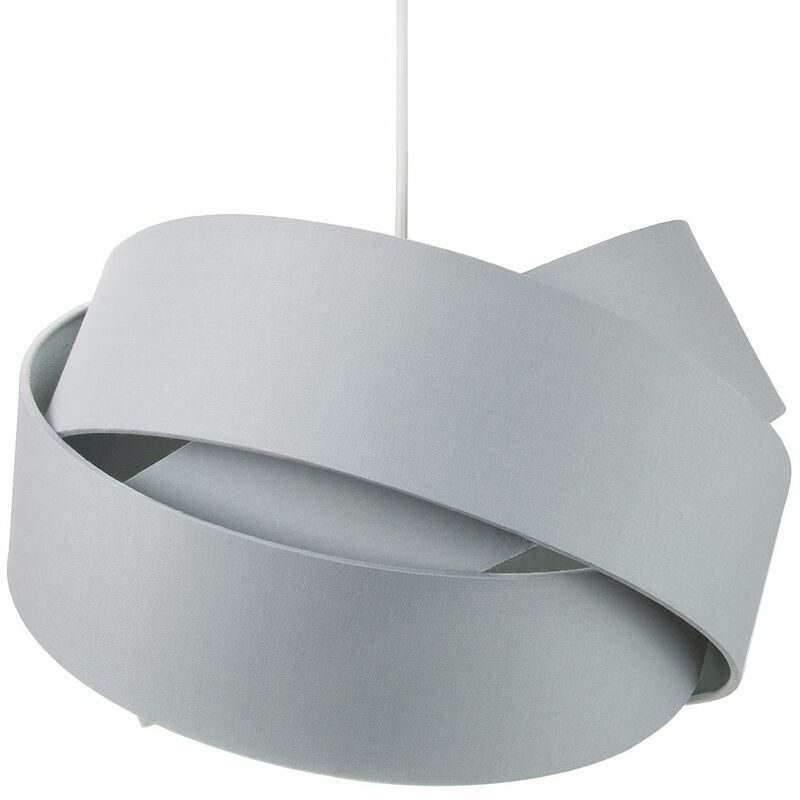 Please note that ceiling rose and cable is not included - pendant shade only being sold.